I have put the new F3 motor into the bike and after trying to put the fuel tank on i noticed it was sitting high on the left hand side (when sitting on the bike). I have a little problem with the spacers as a rogue one has shown up in the garage and been thrown into the pot with the others by my buddy (looks like its off the VFR 400). This means I now have 6 spacers and only 5 locations, unfortunately just sitting the engine in and putting spacers in has given me this high position so it cant be right. I will try to make it simple so hopefully someone can put me straight. this is a pic showing on of the three "long" ones. If anyone knows the sizes of the spacers i will be able to get my good lady to measure for me and help me understand (isn't she a cracker). Last edited by JamieDenny; 04-09-2014 at 10:32 AM. 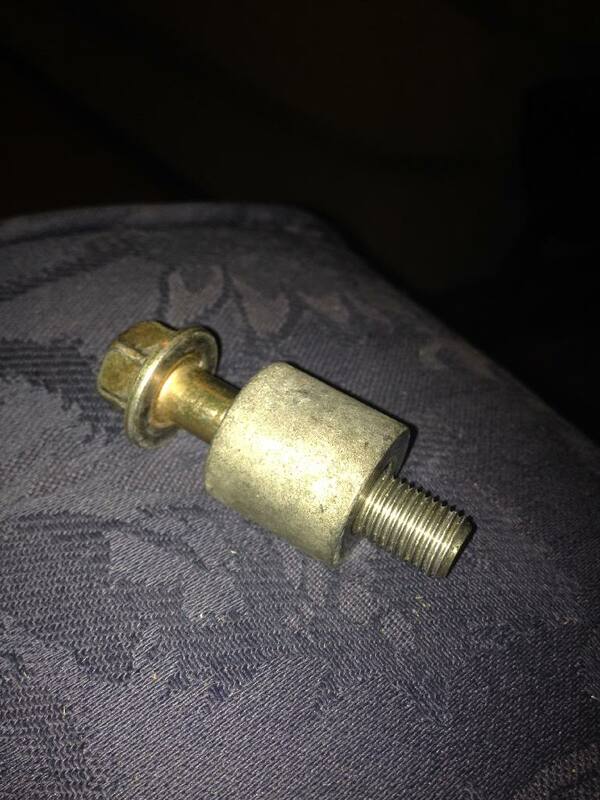 the spacer in the pic that i have 3 of measures 4.3cm, anyone know if i should have 3 or two of these on the bike ?.